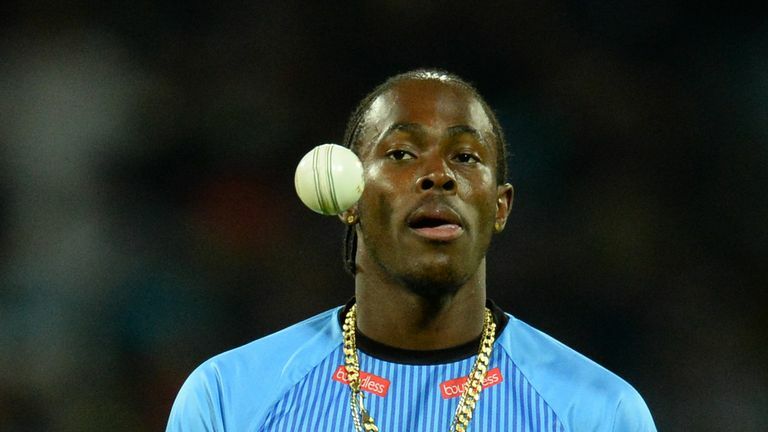 England seamer Chris Woakes says Jofra Archer’s qualification has kept England’s other bowlers on their toes ahead of the World Cup squad announcement. 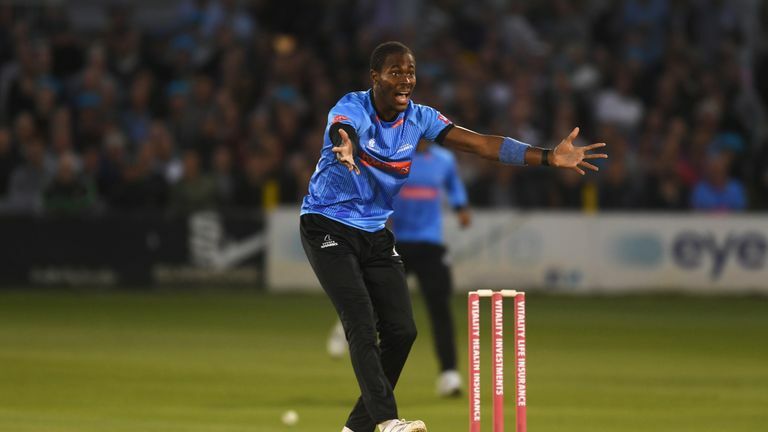 Mark Wood has warned England must work hard to ensure Jofra Archer does not become cricket's answer to Faustino Asprilla as a much-discussed World Cup selection edges near. England will name a provisional 15-man squad for the tournament at Lord's on Wednesday, alongside an expanded panel of 17 for the preceding series against Pakistan, and the status of the uncapped and newly-available Archer is the issue on everybody's lips. Wood's place is unlikely to be under threat after a stellar tour of the West Indies but he outlined the need to guard against disruption to the world's No 1 ODI team, delving deep into the annals of footballing history to do so. "I was speaking about this with the lads at Durham and it was the old Kevin Keegan thing, bringing in Tino Asprilla because you want to keep the team at the top," said Wood, an Ashington boy who supports AFC Wimbledon rather than the Magpies. "You still want to keep moving forward but does that change the dynamic? Does it mix it up? All of a sudden, you can lose the momentum and drop down. "There is no doubt that Jofra is a world-class player. He plays in the hardest tournaments, the IPL and the Big Bash, and excels. "He would obviously be a great asset but would that affect the dynamic of the team? Would I want to see someone like Liam Plunkett, who has been our best bowler for three years, left out? No. Jofra Archer's speed has had batsmen hopping around against Sussex, one of the reasons he could make England's World Cup squad! "Would I want to see myself left out? Obviously not. Would I want to see David Willey, who I am close friends with and who gives you a left-arm option, left out? No. "Would I want to see Chris Woakes, who I am really good friends with and has taken loads of wickets, left out? No. Or Tom Curran, who has bowled well? "It is hard to see. Does anyone deserve to be left out? I don't know." Wood is happy not to have a say on the final decisions, preferring to leave that at national selector Ed Smith's door, but he does believe it would cause less upheaval to audition him against Pakistan then draft him in if performances dictate. "I wouldn't want to be a selector because it's a hard choice, but the saving grace is that they can pick a squad and add someone in later," he said. "That would probably be easier rather than adding Jofra in to the original squad and leaving someone out. Because if you look at Jofra against Pakistan and he doesn't do as well as you think, and then you add someone back in that you have left out, I don't know if that way round looks better."